Mark Wilson/Getty ImagesCrown Prince Mohammed bin Salman of the Kingdom of Saudi Arabia, in the Oval Office at the White House, March 14, 2017 in Washington, DC. King Salman of Saudi Arabia is reportedly tightening his grip on Crown Prince Mohammed bin Salman’s power as an uncomfortable spotlight falls on the kingdom over Jamal Khashoggi’s mysterious disappearance. The king was apparently in the dark about the case at first, but the crown prince eventually asked him to step in. The king is reportedly “asserting himself” over the crown prince, who is suspected of orchestrating Khashoggi’s disappearance. King Salman of Saudi Arabia is reportedly tightening his grip on Crown Prince Mohammed bin Salman’s power as an uncomfortable spotlight falls on the kingdom over journalist Jamal Khashoggi’s mysterious disappearance. Sources close to the royal court told Reuters the king was initially in the dark about the case, which was apparently due in part to efforts from the crown prince to shield him from the news. But as the condemnation of Saudi Arabia spiraled into a foreign policy crisis, the crown prince reportedly asked his ageing father to step in and take the lead. Now, the king is reportedly “asserting himself” over the crown prince as he works to put out the fire. The 33-year old crown prince was already a controversial figure before this crisis due to his dubious means of consolidating power. At first, he painted himself as a modernizer and reformer, but that image quickly faded as he’s arrested fellow princes and prominent businessmen. He’s worked vigilantly to crackdown on dissent. Amid the Khashoggi crisis, there have been widespread calls for King Salman to rethink his son’s immense influence in Saudi Arabia and position as heir to the throne. “Even if he is his favourite son, the king needs to have a comprehensive view for his survival and the survival of the royal family,” a source close to the royal family told Reuters. The king has stepped somewhat out of the public eye in recent years as his son has taken on the spotlight. There has been speculation that he suffers from mild dementia and/or Alzheimer’s disease. Khashoggi, a Saudi journalist, went missing after entering the Saudi consulate in Istanbul on October 2. The Saudis have denied allegations of killing Khashoggi, but after over two weeks still haven’t provided any proof he safely departed the consulate. 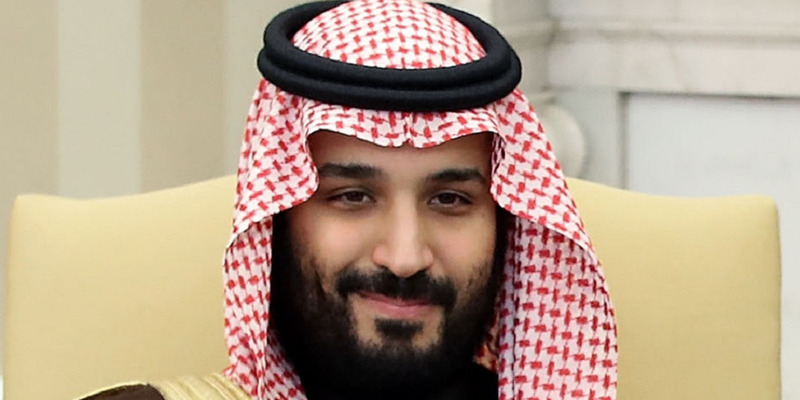 The crown prince, referred to colloquially as MBS, is suspected of orchestrating Khashoggi’s disappearance. Khashoggi had left Saudi Arabia in the past year over fears for his safety, after the royal court barred him from writing. He became a US resident and wrote columns for The Washington Post.